Bank records – Ancestry.com has an interesting collection of immigrant bank records. Sometimes immigrants would open an account at a bank specifically for the amount of money needed for relatives to immigrate to this country. These can serve as an alternate resource for finding immigration records. They also may provide clues to the name or address of other relatives. Fraternal organizations – Many immigrants belonged to fraternal organizations, and some of these provided things like insurance policies – which, if available, are an alternate source for death records. I found my great-grandfather’s life insurance policy through the Polish Roman Catholic Union of America (PRCUA) on the Polish Genealogical Society of America’s (PGSA) website. Recently I noticed that Ancestry has a similar collection of enrollment and death benefit records for Pennsylvania chapters of the Order of the Sons of Italy. Employment records – I haven’t yet found any of my ancestors’ employment records, but I know that they exist for many companies. Sometimes these records can be found in special collections at libraries. If you’re not sure exactly where your ancestor worked, try getting a copy of their SS-5 application for Social Security, and for male ancestors try their draft registration cards. 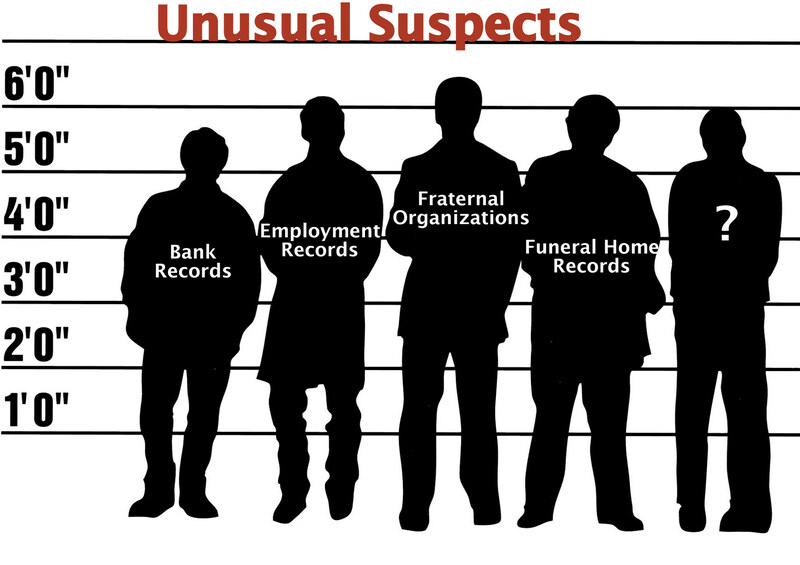 Funeral home records – Sometimes funeral home records can provide additional information about family members that aren’t found on a death certificate. 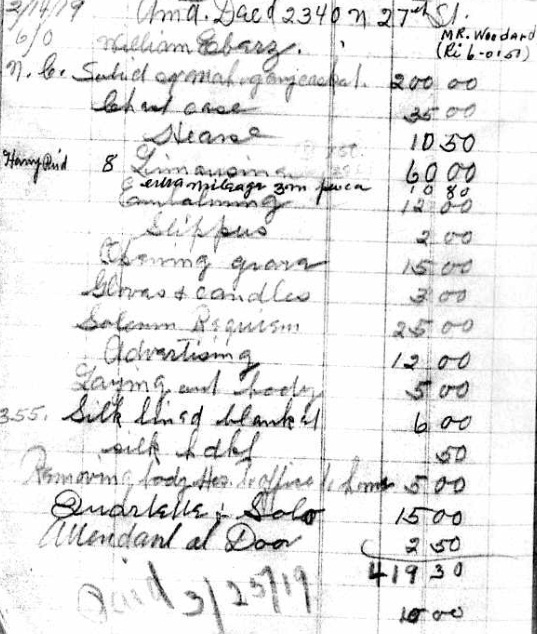 Obviously the type of information that was requested – and kept on file – varies with the funeral home. Some are available online (Ancestry has been posting more of these collections lately), but most probably reside with the funeral home itself if it’s still in existence. Other unusual records I’ve used include consular records, coroner’s reports, police records, ethnic press newspapers, and church jubilee books. Each of these has the potential to provide some small nugget of useful information about your relatives. The key, of course, is actually finding where these unusual resources are hidden. “Unusual” doesn’t have to just apply to the type of record or resource, but it can also describe the “out of the box” thinking that helps a researcher find information and solve research problems. 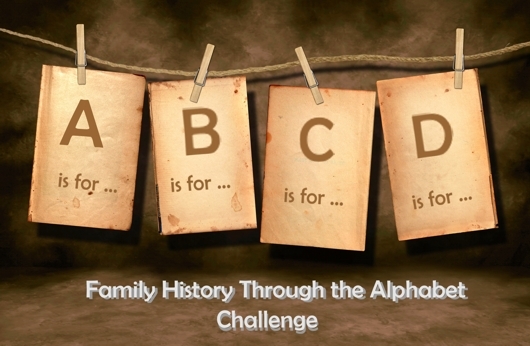 Genealogist Steve Danko applies the scientific method to his research. I’ve found inspiration from a television show and use the Castle “murder board” approach. My “Pointer Sister” Caroline Pointer often takes a techno-approach to problem solving. If your usual method of problem-solving doesn’t work, try a method that is unusual to you! Here’s to all the unusual means, methods, and records that help us find all the usual information we seek for our ancestors! What records have you used that would be described as “unusual”? 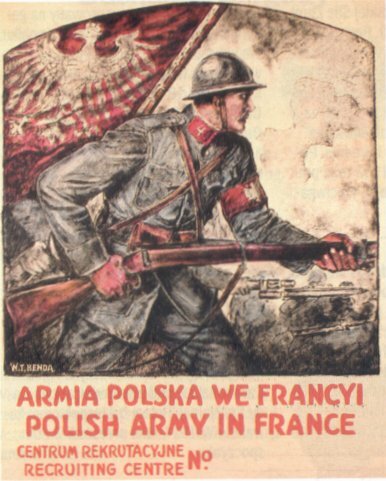 Image – Polish Army in France recruitment poster, courtesy of Wikipedia. One unusual record source for those with Polish ancestry is Haller’s Army records. What was Haller’s Army? During World War I, Poland did not exist on any “official” map of the world. General Jozef Haller formed a regiment of Poles in France to join the fight in the name of their homeland, with the ultimate goal of Polish independence. They were also known as the Blue Army because of the color of their uniforms. Many people have never heard of Haller’s Army or of their contributions during “the Great War”. Because it isn’t well known, many Americans of Polish descent may be very surprised to find out that their ancestors, who had already immigrated to the U.S. prior to 1917, volunteered to fight for the Polish Army in France under Haller. It is estimated that nearly 25,000 Polish men, immigrants to the U.S. and Canada, volunteered and fought in France. Most were recent immigrants who had not yet become American or Canadian citizens. Despite immigrating to a new country, these young men were fiercely proud of their homeland. They willing volunteered to fight for Poland’s democracy and independence. Because of the Partitions of Poland, none had grown up in a free Poland, and Haller’s Army was the first free Polish Army since Napoleon’s time. At the war’s end on November 11, 1918, when Poland officially regained its independence, Haller’s Army continued the fight in the Polish-Soviet War until 1921. The Polish Genealogical Society of America holds the recruitment records, and while the records themselves are not available online, the index is searchable by surname at the PGSA site. If you find a match, the records can be obtained through PGSA by mail for a minimal donation – see complete information on how to order copies at http://www.pgsa.org/hallerreqform.htm. I’ve referred to this as an index of those that volunteered for Haller’s Army, but if you find your relative’s name it does not necessarily mean they served. A search for the surname “Pater” found several matches, but I was surprised to find “Ludwik Pater” from Philadelphia. Ludwik is the Polish form of Louis, my great-grandfather. I ordered a copy to see what I could learn. The form is in Polish, as are the applicant’s responses, but the volunteer who looked up the record also provided a translation for most of the entries. An online copy of the form is available in English here. For the responses, a Polish-English dictionary will help. The record provides a wealth of genealogical information including date and place of birth, address, marital status and number of children, name and address of nearest relative in both America and Poland, and a full physical description. 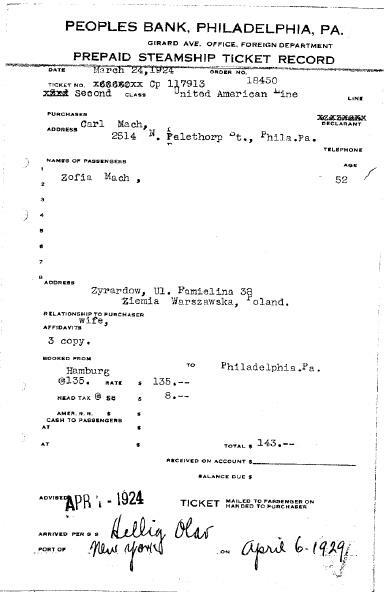 The U.S. WWI Draft records are similar and from the same time period, but the form for Haller’s Army is more detailed regarding relatives both at home and in Poland as well as the physical description, which includes not just the eye and hair color, but also height, weight and other features such as teeth, chin, and “distinguishing marks”. Are you a citizen of the United States of America (second papers)? Did you serve in the Army? Type of arms? How long? Rank upon discharge? What Polish organizations in America do you belong to? If you belong to the Falcons, for how long…and do you hold any office? My great-grandfather filled out his registration card for the U.S. Draft on June 5, 1917. At the time, he was 23 years old with a wife and 3 young children. On November 12, 1917, he volunteered for Haller’s Army. I had never heard about military service during a war by any member of the family, so I assumed he wasn’t accepted because he had a family to support (which is why he was not drafted by the U.S.). As I researched this article and found the English translation of the form, I learned, with some surprise, that he was sent to the training camp in Niagara-on-the-Lake, Ontario on November 18, 1917 – less than a week after he volunteered. But the information provided by the PGSA didn’t indicate an actual record of service in the Army, so what happened? I’m not sure, and I’m rather puzzled to finally notice that he went to training camp! I will have to investigate this further. I do know that he was home in Philadelphia by May, 1918 because his fourth son, Victor Pater, was born the following January. If he did make it through the training camp successfully, he could not have served in the Army long enough to make the journey to France to fight. It does speak volumes about the Polish character if young men like my great-grandfather were willing to fight for their homeland – even though they no longer lived there. My great-grandfather immigrated at the age of 14 and had lived here ten years by the time he volunteered, but he felt strongly enough about the cause for Polish independence to fight in a foreign land. Valasek, Paul S. Haller’s Polish Army in France. Whitehall Printing, 2006. ISBN: 0977975703. Yesterday I wrote about CCC records as a resource in Civilian Conservation Corps: A Genealogical Resource – Part 1. When I first started my genealogical research, I decided to find out more about CCC records because my grandfather supposedly served in the Corps. My father remembered his dad talking about the CCC, but he didn’t know any details. In 1993, I wrote to the National Personnel Records Center to find out. I learned that my grandfather did indeed serve with the CCC…in a manner of speaking. On April 7, 1933, James Pointkouski applied with the U.S. Department of Labor for “Emergency Conservation Work”, another name for the CCC, just weeks after President Roosevelt began the program. 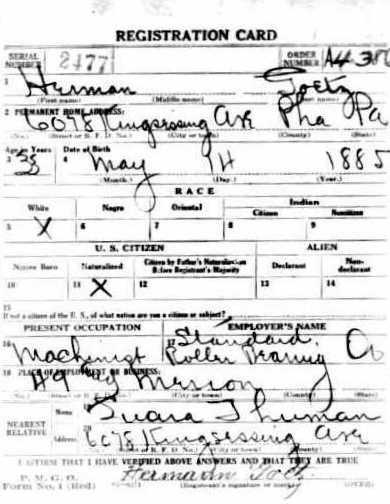 His application states that he was born in Philadelphia on July 6, 1910. 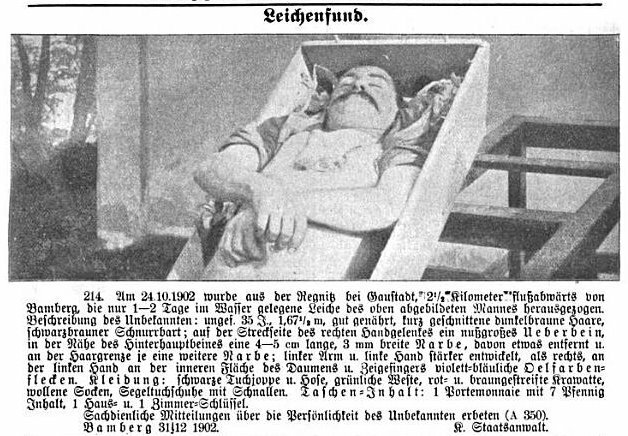 His occupation is “chaueffuer” [sic], but he had been unemployed since October, 1932. He lists his education as 1 year at Northeast H.S. and 1 year evening at Central H.S. He lists his parents, John and Rose, as recipients of his $25 allotment each month and their address. The very next day, Grandpop signed his “Oath of Enrollment” at Fort Hoyle, Maryland. In the oath, he swears and affirms “to remain in the Civilian Conservation Corps for six months … obey those in authority and observe all the rules and regulations…” The oath also relieves the government of responsibility if he suffers injury while working, and he understands that he won’t get any allowance when he is released from camp other than transportation home. My grandfather’s physical examination record tells me that he was 5’9″ and 150 pounds with blue eyes, brown hair, and a fair complexion. He has good hearing, but his eyesight wasn’t that great – 20/50 in one eye and he suffered from strabismus, or “lazy eye”, in the other. I didn’t remember that about him as he got older, but the lazy eye is apparent in photos of him when he was young. Otherwise, he was quite healthy, which was good news considering that he was only 22 years old. CCC members also had to receive shots for typhoid (3 doses!) and smallpox, all of which are annotated on the form. Before I discuss the record of his service, fast-forward to a few years after I received these records. I accompanied my father to my grandmother’s house to remove some belongings and prepare the house to be sold. My grandfather was long deceased, and my grandmother was either in a nursing home or had just died (I can’t remember when the house was sold since she spent several years in a home). I found very few photos or papers of genealogical interest in my grandmother’s belongings. But, one of the few things I found was a handwritten note from my grandfather to my grandmother. 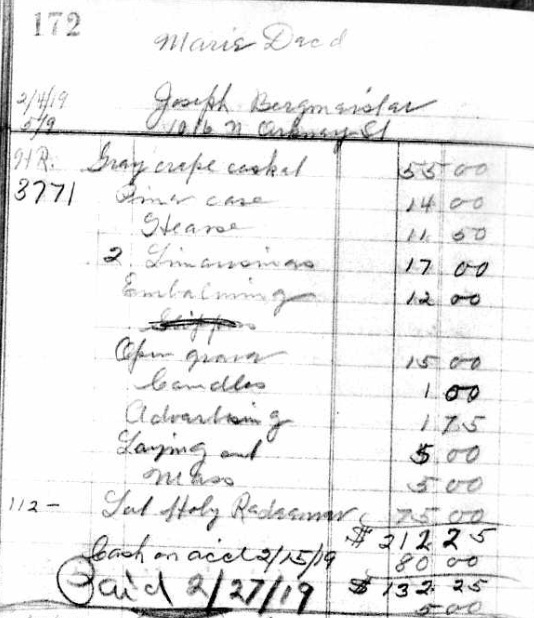 It is dated April 22, 1933 – while he was serving in the CCC! He goes on to talk about “camp”: “Well, our stay in camp is near over, we all have received our 3 shots and I hear we leave for the forests next week. I’m feeling so good and don’t even think of rum, don’t care if I never see another drink. Let’s forget about money. Perk is well able to get by anywhere, I always did. Well, goodbye Marge, I am Your one and only, Jimmy.” In the postscript he asks her to send a snapshot and adds at the end “Love + Lots of Kisses”. I was amazed later to match the date to the time he was in the CCC. For the first time, I could see the impact that the Great Depression had on my grandparents. It was also interesting to see “Perk” as my grandfather’s likely nickname/alias. His older brother, Joseph, simply dropped the actual surname of “Piontkowski” and used “Perk” for the rest of his life. My grandfather by this time had already adopted the creative alternate spelling of “Pointkouski”, but he must have still referred to himself as Perk as a nickname. What amazes me the most about this note is that my grandmother kept it for so long – to me, this means it was very important to her. Could it be that, because of his note, she realized how much he loved her? Regarding leaving camp for the forests, I looked back at his enrollment record. From 8 April to 5 May (1933), he was stationed at Fort Hoyle, MD performing “general labor”. His manner of performance was “satisfactory” (the form indicates that the choices are excellent, satisfactory, and unsatisfactory). From 6-8 May, the location changes to Ellenton, PA and his manner of performance changed to “unsatisfactory”! He was discharged from service on 11 May, well short of his six-month service requirement, due to “absence without leave”. Why did he suddenly leave? Did he miss the rum too much? Or did he miss his girl Marge too much? Was he tired of the physical labor, or did he get an actual job offer for his usual job driving a truck? Neither of his children know the answer. Perhaps he went home to Philadelphia for the weekend and decided to stay. Based on his note, he obviously missed my grandmother quite a bit. By January of the following year, they were married. I’m not sure if he actually did get her that engagement ring or not – the marriage was precipitated by the news that my grandmother was pregnant! She gave birth to a healthy baby boy, named James after his father, in August. I’ll never know why my grandfather cut short his vow to the CCC, but one thing’s for sure – Perk was well able to get by. He spent the rest of his life employed as a truck driver, raised two children, and lived happily with his girl Marge until his death in 1980. Thanks to my grandmother saving that one small remnant of their past, I know without a doubt that he loved her a lot more than he loved working for the CCC! For more information on the Civilian Conservation Corps and the great work they accomplished, see the links at the bottom of my previous post, Civilian Conservation Corps: A Genealogical Resource – Part 1. The CCC, or the Civilian Conservation Corps, is celebrating its 75th anniversary this year. In 1933 during the Great Depression, President Franklin D. Roosevelt found a unique way to combat the country’s unemployment crisis. The Civilian Conservation Corps was created on March 21, 1933 and today is one of the best known results of Roosevelt’s “New Deal”. Even if young people today have never heard of the Corps, it is likely that they have benefited from the Corps’ work, for it was active in every state and left a valuable “footprint” behind. CCC members were recruited through local welfare boards. To join, a young man had to be between the ages of 18-25 and be unemployed or have an unemployed father. War veterans of any age could also join. The men committed to a six-month enrollment that could be extended for up to two years. CCC workers were housed and fed on-site at campsites, and they earned about $30 per month – with the requirement that $25 be sent home to their family. The camps were run by the Army, but it was a civilian organization. Besides benefiting young unemployed men and their families, the CCC had a great impact on the country that is still felt today. They built roads, planted trees, strung telephone lines, and improved state and national parks by building campsites and trails. By 1935, over a half million men were members of the Corps. The CCC was disbanded in 1942, mostly because of America’s entry in the war and the ongoing draft. Did your ancestor serve in the CCC? If your grandfather or other relative served in the CCC, you may be able to find his enlistment papers. The records are held by the National Archives and Records Administration’s (NARA) National Personnel Records Center in St. Louis, MO. These records are not available online. For more information on writing to NARA, please see the CCC Alumni site guidelines or the James F. Justin CCC Museum guidelines. Some information sites indicate that you will need to have your ancestor’s company number and year served in order to obtain the records. However, the name and state may be enough to locate the record. You will also need to know the person’s birth date and proof of death. Available records include the person’s enlistment form, record of physical examination, and discharge information. From these, there is enough information to determine where the person worked, and there are many sites available in each state about the CCC from which you can determine what the person may have actually worked on during their service. Who knows…the trees your grandfather once planted are likely still providing shade in the nearby state park today! I remember learning about the CCC in history class, and even then I thought it was a great idea. With the current economy, unemployment, and “green” movement, I think the CCC should be re-instated as a means to give young disadvantaged men meaningful work. When I learned about the CCC, I didn’t have any personal connection to the organization…or did I? Stayed tuned for “Part 2: My Grandfather Served in the CCC…Sort Of” for a description of my grandfather’s rather brief experience with the CCC and what I discovered in his records. “Recalling New Deal’s Fresh Start” Philadelphia Inquirer, June 8, 2008. An oft-repeated phrase when one enters an old house is “if these walls could speak, the stories they’d tell.” In Germany, it is possible for the walls to speak about the families that lived there for centuries in the form of a book called a häuserchronik. What would you say if I told you there might be a book that is like a City Directory, only it is listed by street addresses and also records deed transactions of the houses? And, the book also contains some personal information about the residents, including occupations, marriage information, and more? Well, if your ancestors came from Germany, there really may be such a book! When I first visited the town my Bavarian ancestors came from, I was given a “häuserchronik” as a gift. The full title of the book, published in 1982, is Häuserchronik der Stadt Pfaffenhofen a.d. Ilm by Heinrich Streidel. It provided tons of genealogical information that was later verified by researching decades of church records. I couldn’t believe that such things existed…and that you don’t hear more about them! He sells to a new family for 1400 fl, or 1200 Euros in 1982 money. Interestingly enough, the new owner sells it three years later for 2400 fl, proving that “house flipping” isn’t such a modern concept. So, where did the family go? The house had been in the family for 100 years. The answer was also in the book. They moved to a different house, the current address of which is Schulstrasse 5. This house is even older than the previous one, as the records begin back in 1511! What is interesting is the immediate history prior to the purchase by Ignaz. Before I had done research with the church records, I would have only looked for his surname and ignored the rest. But, after complete research, I know the full story of the family relationships, so I will back up a bit in the house’s history. 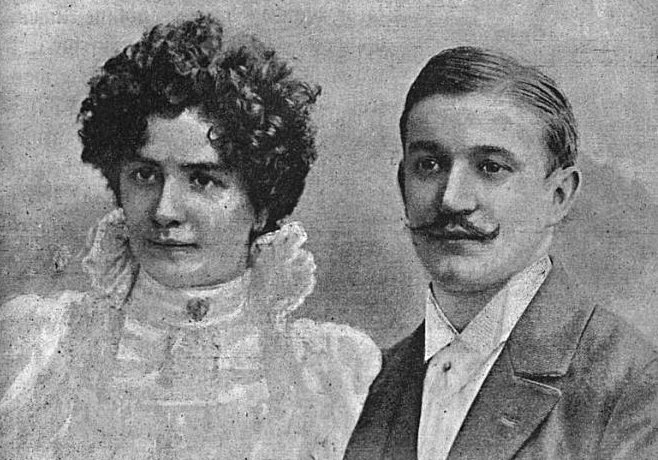 It is from this couple that Ignaz and Magdalena buy the house for 3,980 fl. We saw from the previous entry that Nigg is Magdalena’s maiden name. Rosalie is her sister, Karl is her father (so she was born in this house), and the owner back in 1784 was her grandfather! After the couple purchases the house, it remains in the family until 1899. My great-grandmother, Maria Echerer, was born there in 1875 to Karl Echerer, son of Ignaz and Magdalena, and Margarethe Fischer. It appears that the house was owned by my great-grandmother’s brother, Karl, from 1896 to 1899 when he sold it for 10,800 Marks. As you can see from the above example, there is an extraordinary amount of genealogical data to be found in such books. Other entries were less detailed, but nearly every house’s history had some information on marriages, including where the spouse may have come from if the town was not the same, and occupations. It appears based on the above that a new entry was made after the death of a spouse, a marriage, or the passing of the house to a son or daughter, which is why this sort of history has more in common with deed records than what Americans would call “city directories”. But, where do you find such a treasure if it exists for your town? Well, it’s not easy. What makes the search even more complicated are the different names that Germans use. For my town of Pfaffenhofen, the book is called a häuserchronik. But similar information might be found in a heimatbuch, or town history. 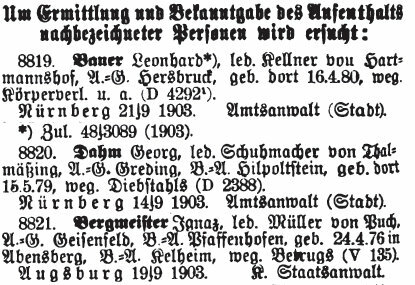 Some towns even have something called a ortssippenbuch or ortsfamilienbücher, which are books containing the genealogical data of an entire town or village. None of these useful resources are maintained in one place, so they are difficult to find. First, I would try a search at www.familysearch.org for your family’s town – there are some of the above resources that would be listed if they are microfilmed. Next, simply search on www.google.com for your town name, plus one of the above words. You can also find success at German bookstores. One useful site that seems to have many “historical” books – and also has an English search page – is www.zvab.de. Put the town name in the subject search and see what you find! Did you know that there are foreign versions of E-bay? You’re more likely to find a German book on Germany’s E-bay at www.ebay.de. Search for the town name, or even a surname. 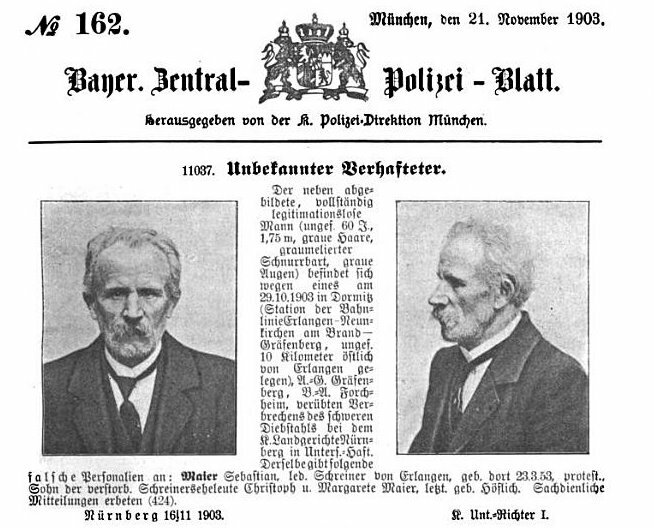 I found many heimatbucher waiting to be found by genealogists. It does help if you speak the language, though. While ordering via E-bay isn’t that difficult in any language, once you get the book it helps to be able to decipher the contents! I have several German books, but I don’t read German. If I did, or if I tried a little harder with a dictionary, I might know a lot more about my ancestors’ towns by now. 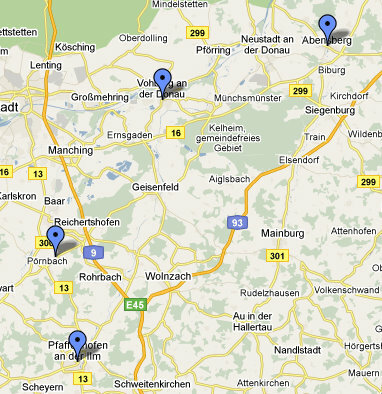 Finally, there is a database available at www.ortsfamilienbuecher.de that has listings of some “town heritage books”. I have not found an online resource that lists “häuserchronik” books specifically, but a local heritage book may also have genealogical information. You may have better luck contacting town or local archives to determine if any exist for your town. Good luck, and I hope you all find similar genealogical treasures from your ancestors’ towns.